The small bowel accounts for more than 75% of the whole gastrointestinal tract and 90% of its mucosal surface. Nonetheless, the small bowel adenocarcinoma (SBA) is an extremely rare neoplasia, with an incidence of 5.7 cases per million people . In Europe the estimated rate of new cases per year is 3600, with a median age in the seventh decade of life . Similar findings were described in the US population, with 5300 new cases and 1100 deaths per year . The duodenum is the most common localization for this neoplasia accounting for 55–82% of cases, followed by jejunum (11–25%) and ileum (7–17%) [2, 4, 5]. SBA can be detected in patients without any associated intestinal disorder (i.e., sporadic SBA) or it can occur in association with predisposing conditions, including hereditary conditions, e.g. familial adenomatous polyposis, Lynch syndrome Peutz-Jeghers syndrome and others, and immune-related intestinal disorders (i.e., Crohn’s disease and celiac disease, CD) [2, 6, 7, 8]. The association between CD and SBA was first described more than 40 years ago  and, in contrast to the general population, CD patients have a markedly increased risk of developing SBA. Nowadays it is largely agreed that a delay in CD diagnosis and a low compliance with gluten free diet (GFD) are two major factors leading to a 60–80 fold relative risk of developing SBA [10, 11, 12]. Another study involving a metanalysis of 79,000 CD patients estimated an odd ratio of 14.41 for developing SBA . In the last years the incidence of SBA is increasing according to the data from the surveillance epidemiology and end results (SEER) showing an overall incidence of 22.7 cases per million in the US population in 2004 . Similarly, the prevalence of CD is spreading worldwide, accounting for more than 1% of the general population . The results of the present study expand the limited information available on the association between CD and SBA, a complication which occurs in misdiagnosed celiacs or in patients not fully compliant to GFD [17, 18, 19, 20]. Because of the limited number of studies, it is unknown whether CD-related SBA differs from sporadic SBA and SBA cases associated to intestinal disorders other than CD, including Crohn’s, Peutz-Jeghers, Lynch syndrome and familial adenomatous polyposis [2, 6, 7, 8]. Our analysis, including one of the largest series of CD-related SBA, clearly demonstrated that the SBA onset in CD patients exhibits peculiar clinical and histological features. In order to better highlight these peculiarities, the findings emerged from our CD-related SBA cases have been compared to those with sporadic SBA and SBA associated to the other (non CD-related) intestinal disorders so far reported in the literature [2, 6, 7, 8]. Previous studies indicate that almost all CD-related SBA cases showed a long history of CD characterized by classical symptoms, i.e. diarrhea and malabsorption [9, 17, 18]. Conversely, our study showed that SBA can occur in CD patients with both classical and non-classical symptom profile. 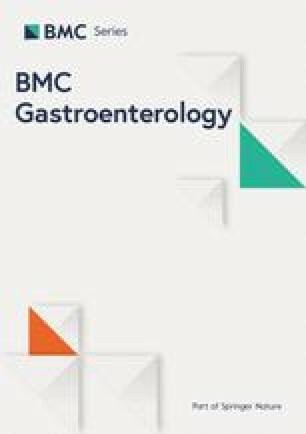 SBA was slightly more frequent in CD patients with non-classical symptom profile (characterized by iron-deficiency anaemia, constipation, recurrent miscarriages, menstrual irregularity and enamel defects) than those with a classical malabsorption syndrome with diarrhea and weight loss (3 vs. 2 cases, respectively). The risk of developing SBA and other CD associated diseases appears to be higher in patients with a long history of misdiagnosed / untreated CD [17, 18, 19, 20, 23]. A paradigmatic example of such concept is given by patient n. 2 who did not adhere to GFD until SBA occurred 35 years later from the initial diagnosis of CD. The possible onset of SBA in CD patients with non-classical and less severe extraintestinal manifestations should alert physicians to investigate any patients with CD even those without intestinal alarm symptoms. Such strategy is mandatory in those cases with a late CD diagnosis (e.g. after 45 year-old) or with a poor compliance to GFD. Unfortunately, no international guidelines are so far available regarding management of special subsets of CD patients, such as those diagnosed after the fifth decade of life, with a long history of undiagnosed CD and continuous gluten ingestion [24, 25]. Moreover, it is mandatory that physicians, endoscopists and pathologists rule out CD when detecting a patient with SBA or small intestine adenomas, avoiding a significant delay in CD diagnosis as described in case n. 5. Our study provided further insight for the genetic pattern of CD-related SBA. Positivity for HLA-DQ2 and/or DQ8 is crucial for the development of CD and several studies demonstrated that the positivity for HLA-DQ2 homozigosity is closely related to CD complications, such as refractory CD and small intestinal lymphoma [24, 25, 26]. Notably, all CD-related SBA cases investigated in the present study were HLA-DQ2 positive, but only one case displayed homozygosis. Moreover, in our study none of the CD-related SBA patients had a previous diagnosis of refractory CD. Therefore, SBA and intestinal lymphoma occurring in CD patients differ from each other, since the former does not show any correlation with HLA-DQ2 homozigosity and it is not preceded by refractory CD, which, conversely, is typical of intestinal lymphoma . Another new finding emerging from the present study is about the SBA localization in the intestinal tract of CD patients. In contrast with current literature, reporting a predominant localization of all the SBA subtypes (sporadic, associated with hereditary syndromes and immune mediated disorders) in the duodenum in up to 60% of cases, the CD-related SBA is localized in the vast majority of cases in the jejunum [2, 6, 7, 8, 16]. In contrast with Crohn-related SBA where an adenoma-carcinoma sequence has been established , this pathogenetic progression remains doubtful in CD-related SBA. A case series from Rampertrab et al. proposed the adenoma-to-carcinoma evolution by describing three cases of CD with duodenal adenoma, although no other studies could eventually confirm this hypothesis . Notably, in the present paper, we did find in case n. 4 a flat, high-grade intraepithelial neoplasia, adjacent to the primary invasive carcinoma. Although marginal, this evidence suggests the possibility that a flat dysplasia of the mucosa extending from the tumor margin or distant from the primary carcinoma may be the primary lesion initiating the sequence leading to an established carcinoma.